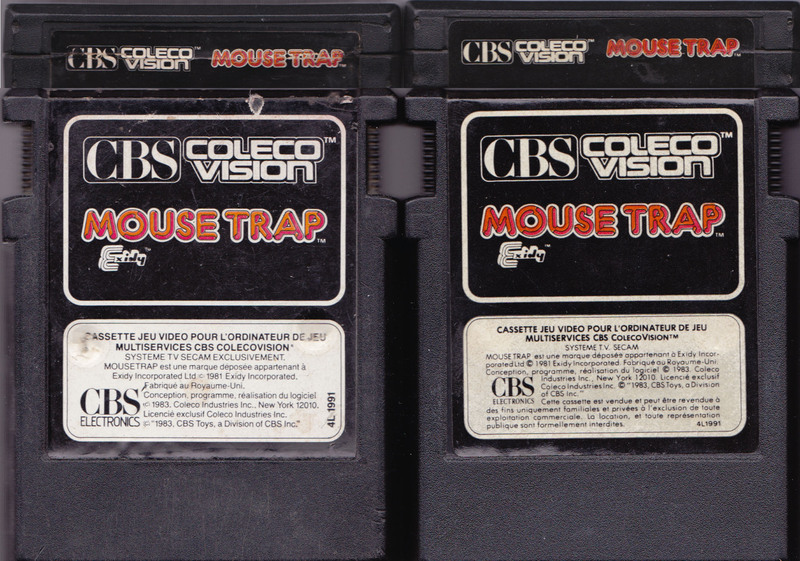 Made in The U.K. for CBS Electronics, A Division of CBS Records Australia (incorporatedin N.S.W. 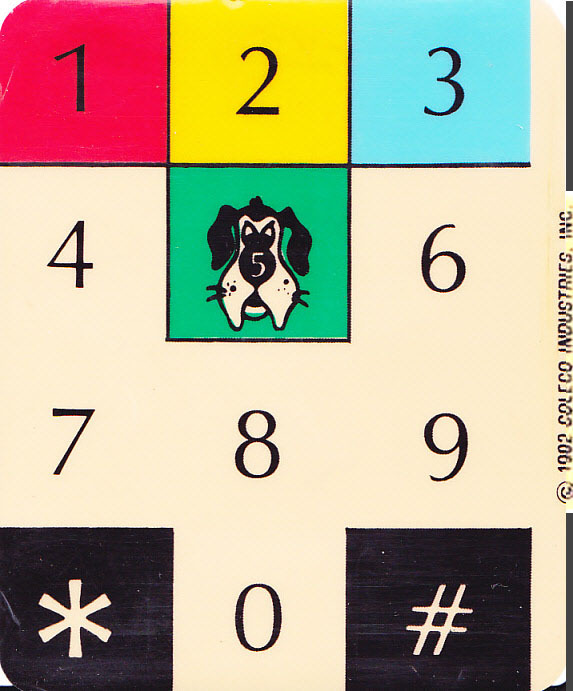 ), 15 Blue Street, North Sidney N.S.W. 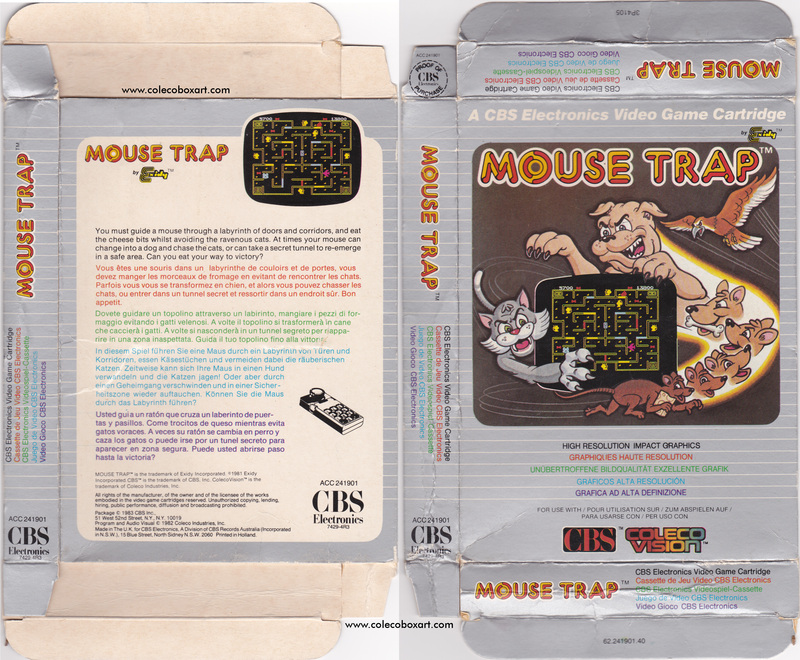 2060 Printed in Holland. 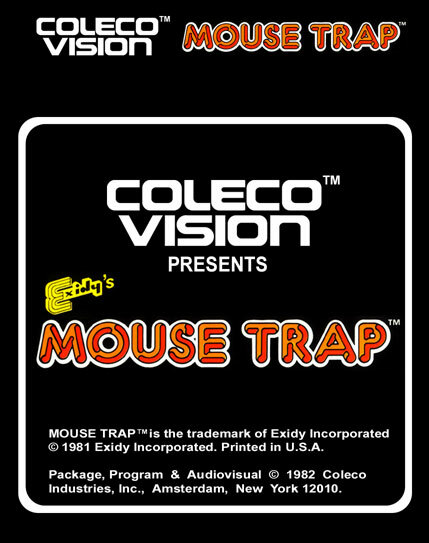 Based on the fun-filled arcade game, Exidy’s Mouse Trap for Colecovision features a cheese-chomping mouse that dash around a maze. 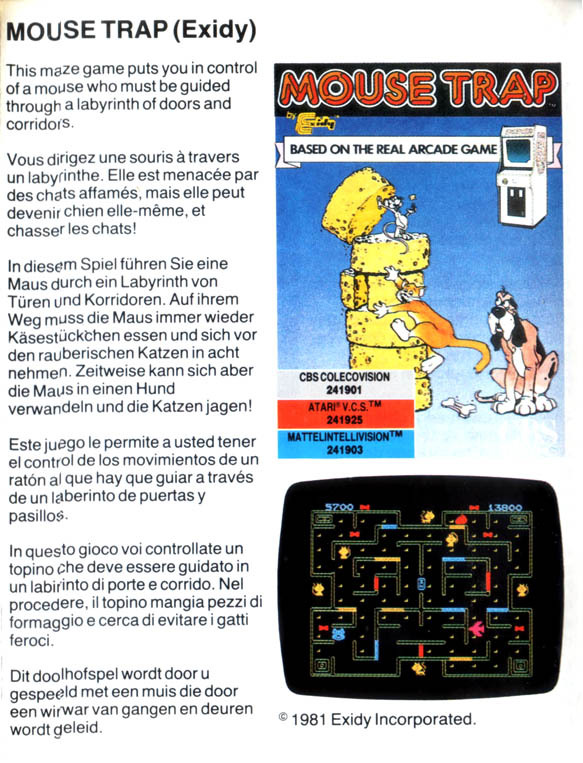 Open and shut doors to escape the pursuing cats. 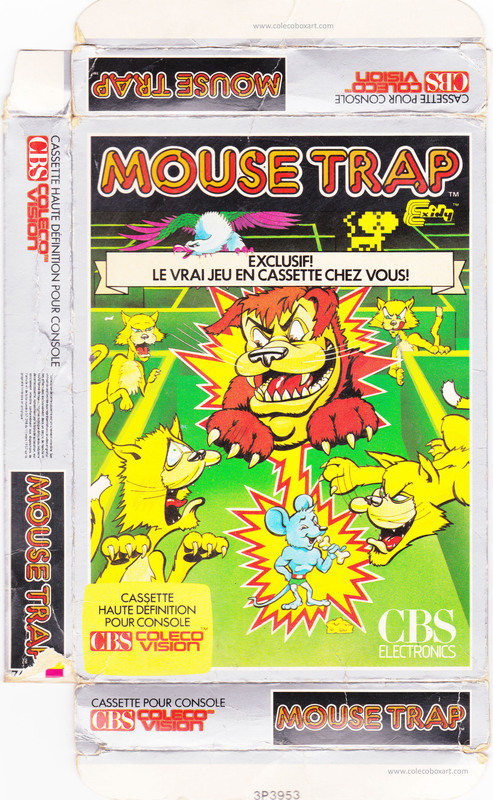 Eat a bone, then turn your mouse into a cat-biting dog. 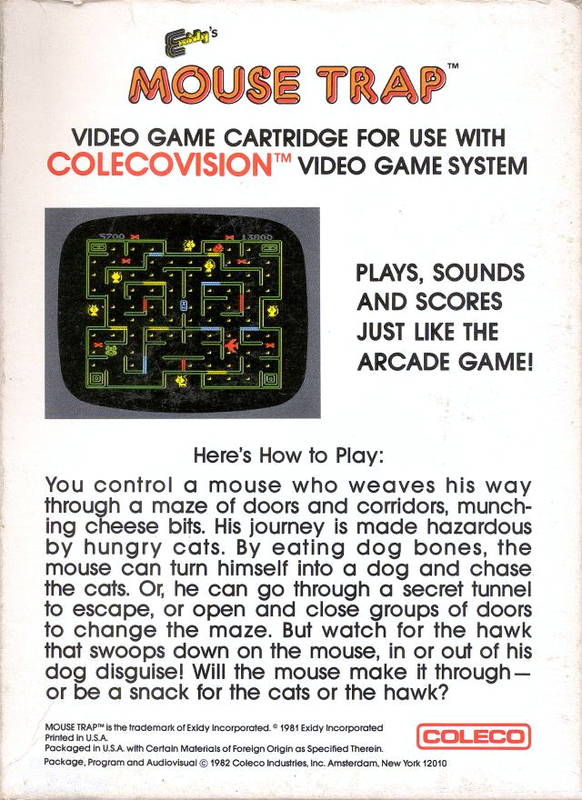 But watch out for the treacherous hawk! 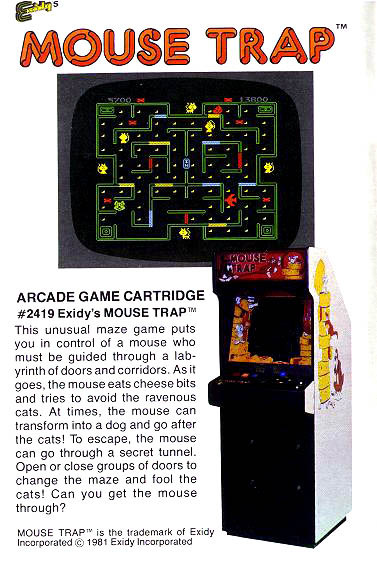 Port of Exidy's arcade game released in December 1981. 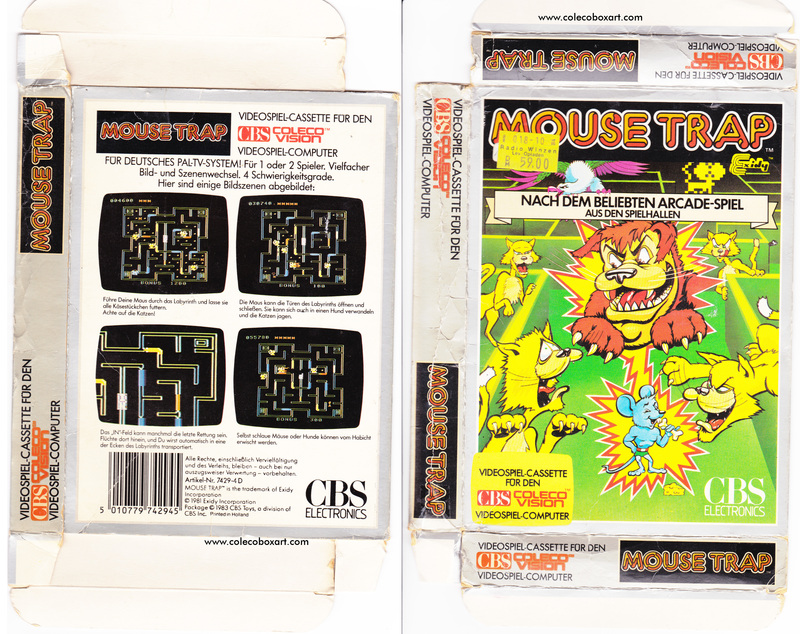 Mousetrap inspired a catchy hit song by Buckner and Garcia called 'Mousetrap' released on the 'Pac-Man Fever' album. 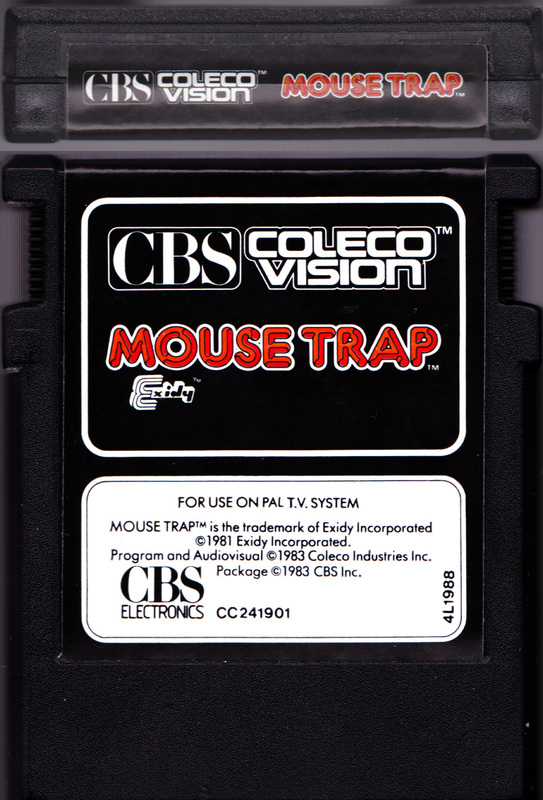 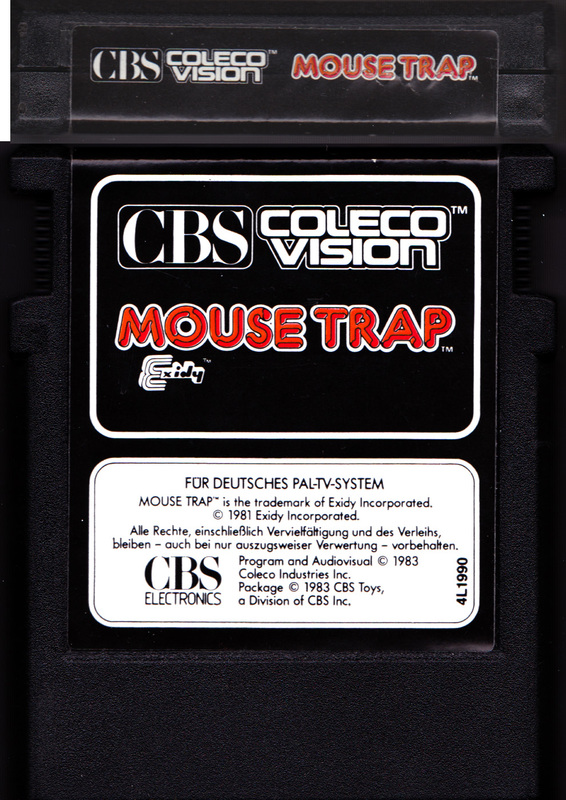 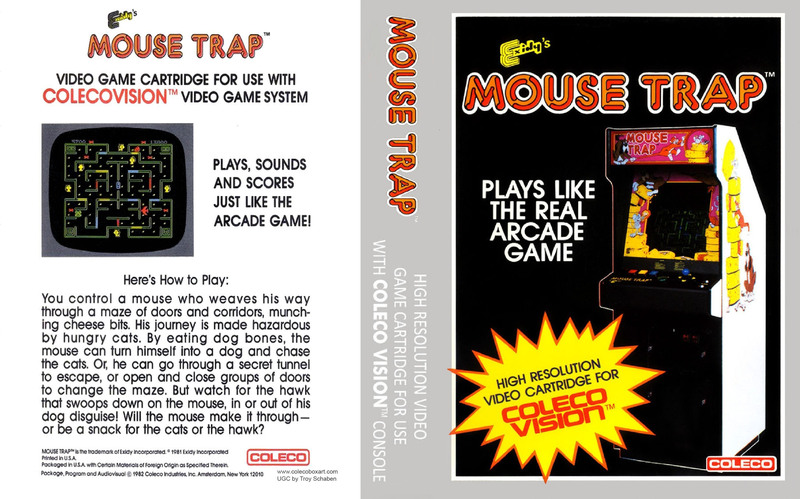 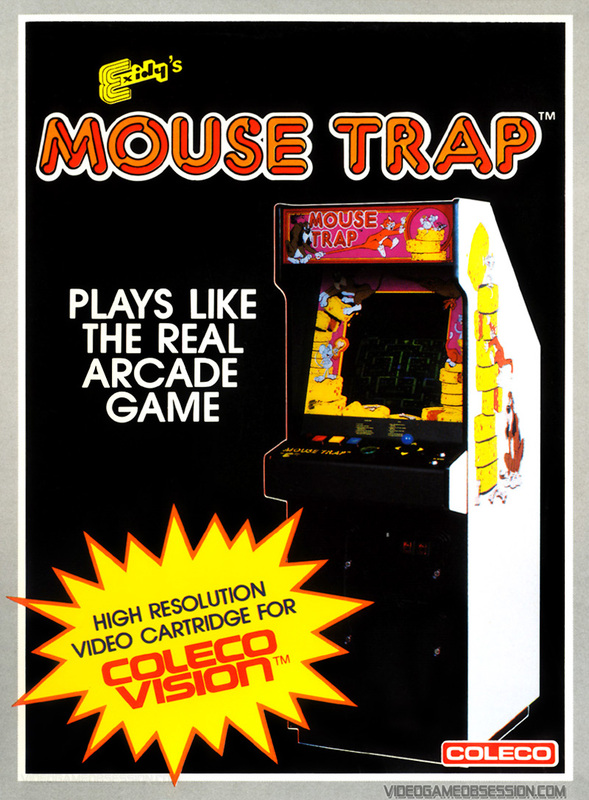 Mouse Trap is one of the first games available at the launch of the ColecoVision. 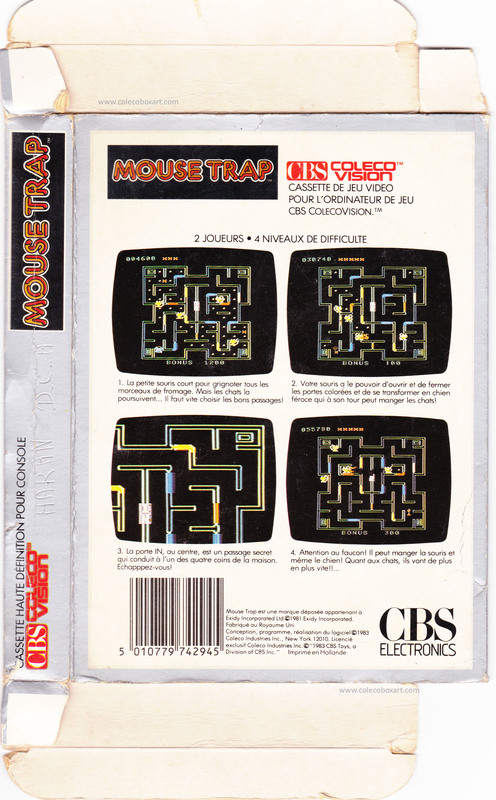 In some countries, it was the pack-in game instead of Donkey Kong. 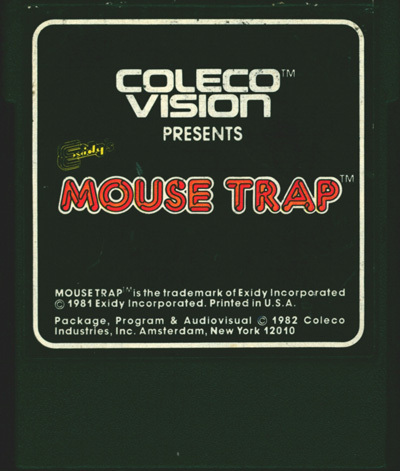 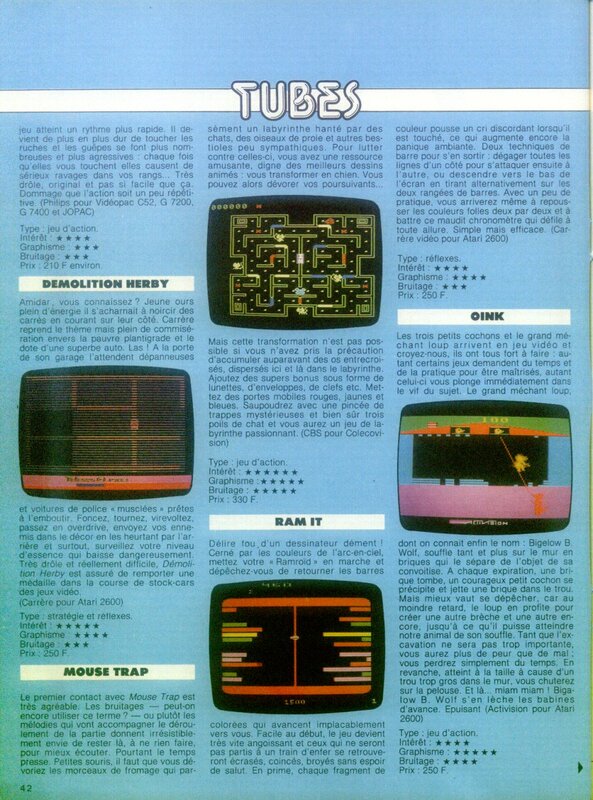 Mouse Trap was ported to three home systems by Coleco; Coleco's ColecoVision, Mattel's Intellivision, and the Atari 2600. 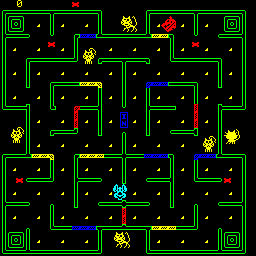 Many differences between Pac-Man and Mouse Trap are aesthetic: the dots become cheese, the player is a mouse, the ghosts are cats, and power pills are bones that turn the player into a dog.